"In loco parentis" is a Latin term meaning "in the place of a parent." It describes when someone else accepts responsibility to act in the interests of a child. This idea developed long ago in British common law to define the responsibility of teachers toward their students. For years, American courts upheld in loco parentis in cases such as Gott versus Berea College in nineteen thirteen. 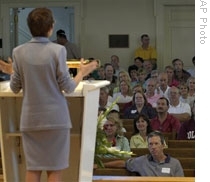 Mostly parents attend a meeting for new students at Colgate University in 2005. Helicopter parents find it hard to let go. But in the nineteen sixties, students began to protest rules and restrictions like these. At the same time, courts began to support students who were being punished for political and social dissent. In nineteen sixty, Alabama State College expelled six students who took part in a civil rights demonstration. They sued the school and won. After that, it became harder and harder to defend in loco parentis. 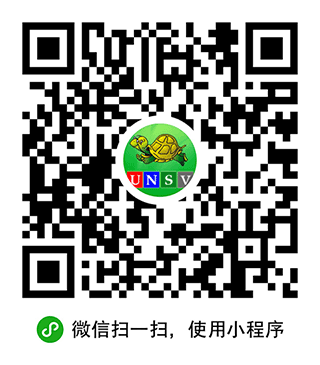 Students were not considered adults until twenty-one. Then, in nineteen seventy-one, the twenty-sixth amendment to the Constitution set the voting age at eighteen. So in loco parentis no longer really applied. Gary Dickstein, an assistant vice president at Wright State University in Dayton, Ohio, says in loco parentis is not really gone. It just looks different. Today's parents, he says, are often heavily involved in students' lives. They are known as "helicopter parents." They always seem to hover over their children. Gary Dickstein says these parents are likely to question decisions, especially about safety issues and grades. They want to make sure their financial investment is not being wasted. As a result, "in loco parentis" has been replaced by what some administrators call a "partnership" between the school and the family. In fact, the orientation program for new students at Virginia Tech this summer includes a meeting for parents called "Parents as Partners."